First of all I would like to thank everyone for the unbelievable amount of support I have received since I decided to get this shop going and since opening last Sunday it has continued everyday with people getting tattooed and spreading the word or just stopping by to say hi and check out the shop.I am thankful and appreciate all of it.I am very fortunate to have an amazing father n law Craig and my great friends John and Chris.They came in and took down and built up walls and were there every step of the way for every detail.My idea of what I wanted the shop to look like and eventually became would not have been possible without them.Im very proud of the fact that I was able to build my shop with them.Im also very lucky to have an amazing wife that didn’t get bummed out when I was at the shop until 3 in the morning working on it throughout the process and has been supportive since day one. As of right now it will just be me at the shop and I also have a commitment to my great friends at 454 tattoo Encinitas to work there on Friday and Saturday and the middle Sundays.So I will keep Rendition open Monday through Thursday from 11-6 or until everyone is taken care of and all of the tattoos are done for the day.I will also work the first and last Sundays of the month at Rendition to ensure those that can’t make appointments during the week can make it in and get taken care of.I will have another tattooer coming on in October and at that time the shop will be open every day and later so please be patient as I am being very selective as to who I hire.I have been very fortunate to have been able to travel and work around some great tattooers and made some great friends to which I feel a responsibility to uphold a high standard of quality and integrity with this shop.I refuse to fill my shop with people just to make money and if that was the case it would already be filled.Im not in this to get rich I just want a great shop that people can come to and get a great tattoo and be treated with respect and I will not settle for any less from the tattooers that eventually work at Rendition. 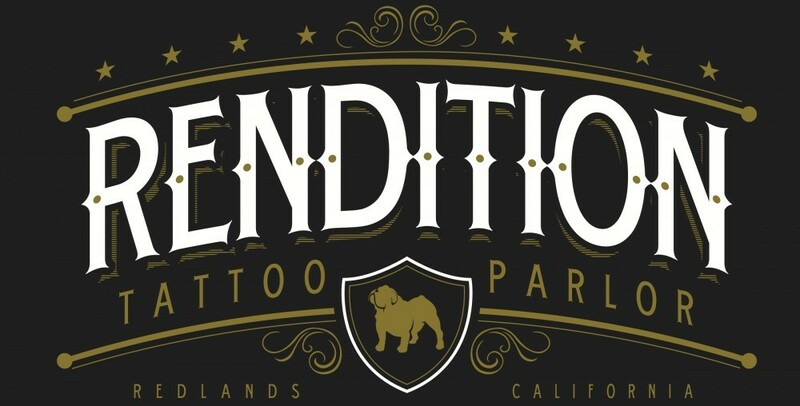 Daniel Silva,David Flores and Drew Cottom will be coming through regularly to do appointments.Rendition will also have awesome guest artists coming through like Adam Hathorn,Rawbert Samuel,Matt Arriola,Asher Bowers,Buddy Holiday,Josh Adams,Chris Arredondo,Larry Garcia,Sean O’neill,Atom Turk and many others.I will keep everyone posted on dates and you will be able to contact them directly or Rendition for availability. I will always try to get everyone tattooed the same day they walk in if possible if I am able to do the tattoo to the best of my ability.Sometimes that is not possible because of the size or because it needs to be drawn so an appointment will be made for the next available time at which time a deposit will be required to lock in a time.The deposit will go towards the price of the tattoo and if the tattoo requires multiple sessions it will go towards the last session.Some tattoos can be drawn in a day while others may take a week or longer depending on how busy the shop is but either way when a date and time is made with us it will be kept and your time will not be wasted.When you show up to get your tattoo I will be set up with your drawing finished and ready to tattoo and this will be expected of anyone that works permanently at Rendition in the future.The same respect will be giving to the person getting a small name as the person getting a sleeve and that will never change. 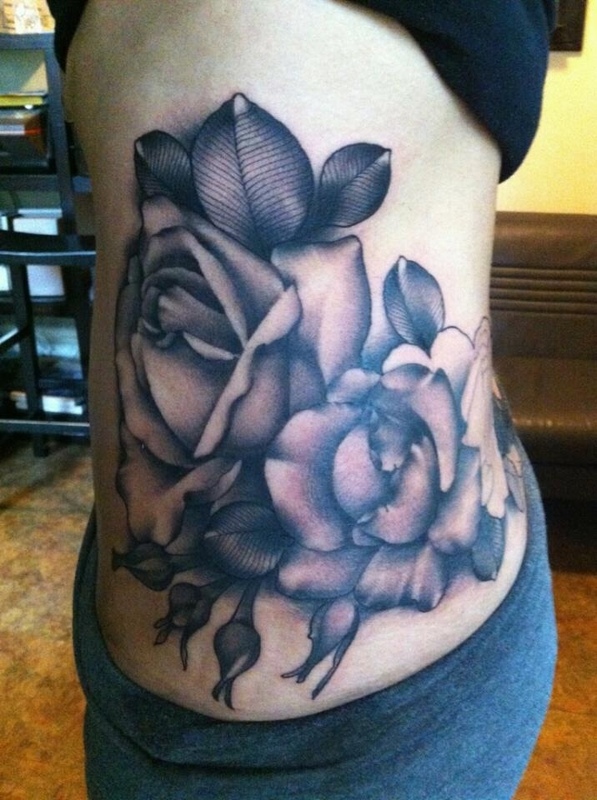 Done by Brian Seghers.I love roses and I love black and grey as much as anything.